Aren’t you following the Mobile World Congress Launch Spree ? 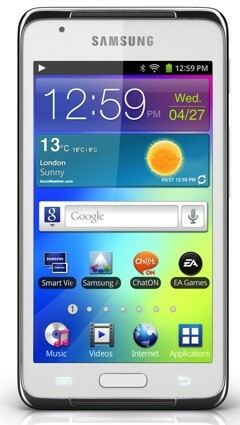 – Here are most promising gadget launches at the MWC 2012! Now this is a little bit uninteresting launch for many in the portable media player category, Samsung Galaxy S Wi Fi Player 4.2 is now out with no ‘attention grabbing headline feature’ except the Android 2.3 OS. The previous version of this PMP was ‘Samsung Galaxy Player 3.6’ does not have any notable differnece in terms of physical appearance and TouchWiz UI and it is expected to compete with Apple’s best selling gadget iPod Touch. The device is mostly similar to Samsung Galaxy S smartphones, just that there is no calling feature in it. Check out more details below. Stay connected for the latest prices, features, news & detailed reviews of gadgets and software. Subscribe to get new articles directly in your mailboxes. Get CleanGenius Pro For Free - Giveaway By EaseUS In Memory of Steve Jobs! WiFi Monitor Plus Released By ManageEngine – Monitors, Analyzes, Surveys WiFi Signals! Photos Trivia Android App Review – Traditional Trivia Gets Better!